Guess what? The Senegalese Twists are back in effect and I couldn't be happier. I've grown completely tired of doing my hair and this is the perfect remedy to get me through the rest of winter. I've actually been debating rocking the twists until Summer, but who knows. I'm sure I'll be craving some fresh highlights once the heat kicks in. I went to Nana again (blogged about it here) and she was absolutely wonderful! To top things off, she made some delicious lamb curry which made my stomach smile. 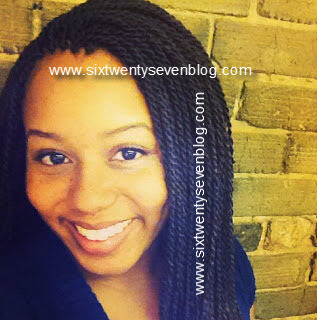 Above is a quick video review of my twists. I'll try to update along the way with on-going posts to show how they wear. Last summer I got my twists the same time I was training for my scuba diving certification, so the constant swimming, chlorine, etc got the best of my hair. 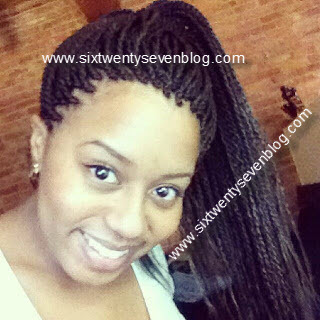 I also want to thank everyone that has visited my site on their search for the best Senegalese Twists in Chicago! It's actually the top link for my page which is pretty cool, and Nana has been amazingly thankful for the exposure. It's awesome to come across people that are not only talented, but have such a pure heart. She rocks.